Enter and re-enter the password. You could specify the mailbox quota. The new email address has been created successfully. 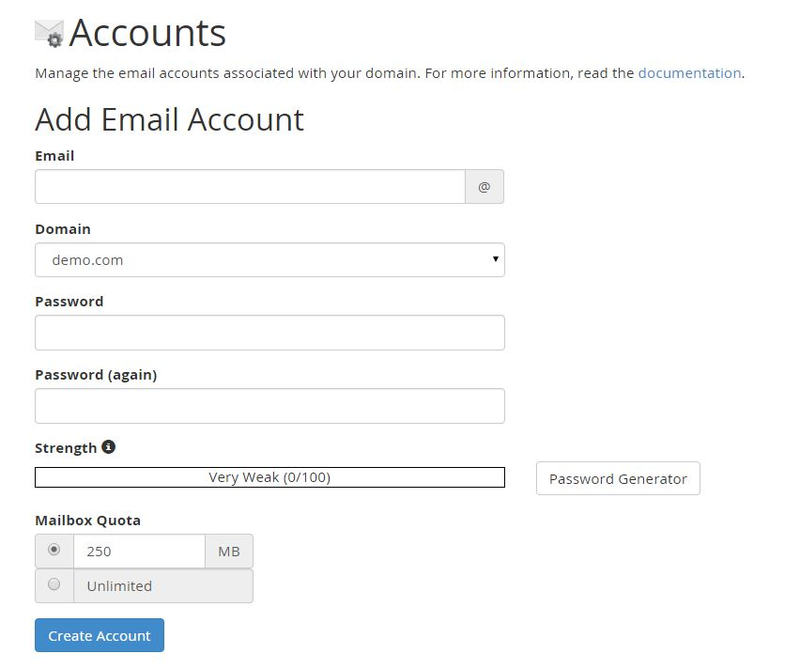 You could access web mail, change the email password, change quota or delete the account.